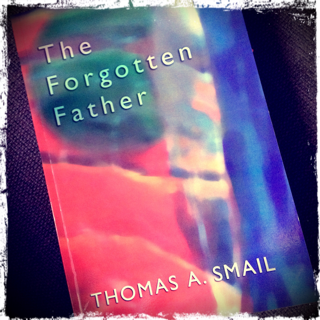 I’ve been reading a bit of Tom Smail lately. Although he was a prominent theologian of the early days of the charismatic renewal, I’d never come across his work until a friend recommended one of his books to me a few weeks ago. Interestingly enough, Smail worked with, and at times refers to, the (controversial in his day) former Apostolic pastor Cecil Cousen. But anyway, I’m not writing about Smail’s involvement in the charismatic renewal or his links with Cousen, but rather just to give you an extended quote of exceedingly wise counsel from Smail’s book The Forgotten Father about our inheritance as sons, which he particularly addresses to charismatics (and hence is equally relevant to Pentecostals today). Read the whole thing - it's worth it! ...this inheritance is here defined in a Christ-centred rather than a triumphalist way, in terms of the cross and the resurrection, rather than of miracles whenever you want them and all needs satisfied. We are reminded of that precisely by the way in which Romans 8.17 ends: “Co-heirs with Christ if indeed we share in his sufferings in order that we may also share in his glory.” C.B. Cranfield points out that the “if” of the last clause cannot be understood as laying down conditions for entering the inheritance. The “if” is to be taken as equivalent to “in that” and the whole clause defines the inheritance. If we are joint-heirs with Christ we shall have what he had and that was suffering and glory, glory through suffering. The glory is the final thing, the ultimate content of the inheritance, and it consists of the manifestation in us of the same fulness of the power and love of God as has already been manifested in Christ especially in his resurrection. Verse 18 makes clear that the suffering along the way is for the sake of the glory and in the end will yield entirely to it, as it has done with Christ. But to go Christ’s way and to be conformed to his likeness is to reach that glory through suffering, through a participation in his cross. We in our way have to come where he came in his way, to the point in Gethsemane where the prayer that we make is not answered and has to be converted into a prayer for the doing of his will, to the experience of the silence of heaven as well as of its speech, to obedience in self-giving that has no obvious success but goes down into apparent failure, to the place where we bear faithful witness and nobody wants to know. The continuing superficiality and immaturity of so much that passes for charismatic renewal is closely related to the fact that it seeks through all sorts of instant-answer expedients to evade that participation in the failure and suffering of Christ which is a central although not the final component of Paul’s Christ-centred exposition of our inheritance in the Spirit. How can we be joint participants in what God did in Christ, if we will not take up our cross and follow him, when there is no guarantee at all of success? For although his cross is his alone in its saving efficacy, the ones that we have to carry as his witnesses are of the same shape.